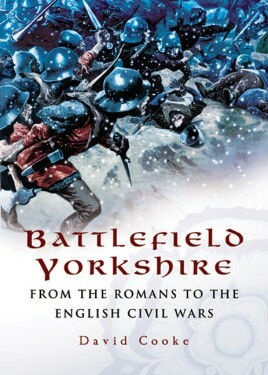 Yorkshire's past is replete with bloody battles and sieges. From the earliest times armies have marched across the Yorkshire countryside and have fought for control of the land, the towns and the cities. Roman, Viking, Norman and the Scottish invaders have all contributed ruthless episodes to the story. Christian fought pagan, Englishman fought foreign invader, and loyalist fought rebel, in some of the most destructive battles of British history. And bitter internal conflicts, which set neighbor against neighbor, created an equally violent heritage as rival lords and landowners contended for power and influence in the north. David Cooke gives a vivid description of the outbreaks of warfare that have punctuated the county's history. Using graphic contemporary accounts and numerous illustrations and maps, he creates a vivid narrative of a county that was a battleground until modern times.